No matter what season it is, there is always a place for sneakers. Whether they’re in block colors, patterned or multi-colored, this Fall season is all about the sneaker. 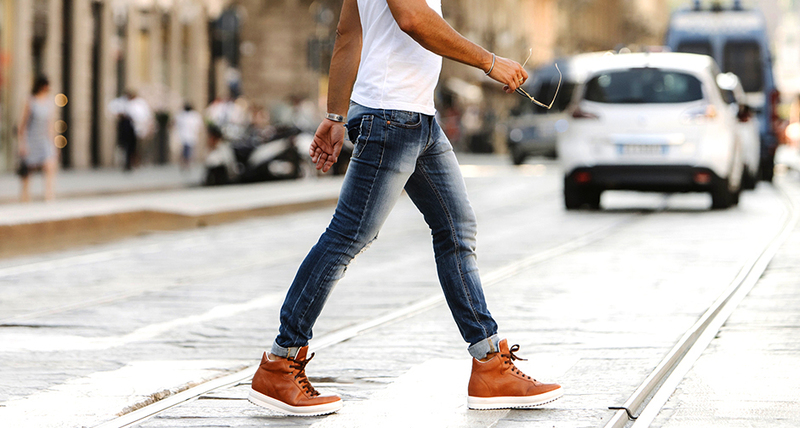 Sneakers are perfect no matter what the weather and they can give you that added comfort for a youthful, casual style. As we’ve seen on the runways of some of world’s luxury designers, sneakers can even add a stylish touch to a more formal outfit, as well as be the perfect accessory for this season’s luxury sportswear look. This makes them a staple for any man’s wardrobe at any time of the year. With the luxury brands now hot on the heels of the traditional sportswear brands, the focus on making sportswear stylish and chic has become even more important over the last few years. But where the luxury brands differ, featuring customizable designs, innovative technology and the finest quality materials, they are able to edge into the lead over these sportswear brands. The luxury brands are also able to offer something else; a handcrafted product. And in the case of GuidoMaggi, a stylish product entirely handcrafted in Italy using the highest quality fabrics. The innovative designs seen at GuidoMaggi can also offer a unique advantage; the ability to increase height, even by as much as 6 inches. This can boost confidence and self esteem as a result of a well designed elevator system that is entirely hidden from view within the shoe. So for men who have always dreamed of being a few inches taller, there is now a solution where comfort, style and luxury is not sacrificed. This way you can stay on top of the trends for this Fall and Winter with elevator sneakers in a range of luxury leathers, from suede and calfskin to Hermes crocodile skin and even ostrich. There are collections and models for all the trends of the season, including the 80s and 90s, so you can stay on trend and comfortable right through Fall and Winter. But with the added touch of elegance and luxury that comes from a pair of handcrafted GuidoMaggi sneakers that are made in Italy by skilled artisans.